When you’re watching a film or catching up on a favorite TV show, sometimes things in the room can be quiet distracting from the scene up on the screen. But what if those obstructive things were your entertainment system’s speakers? That’s when in-wall and in-ceiling speakers are ideal for you and your space. By installing these speakers in the walls, you’ll hardly notice them — but you’ll definitely hear them. You can maintain your space’s design and immersive feeling without sacrificing sound quality from your audio system. Installing these speakers above and all around the seating area will create a surround sound setup that ensures every viewer gets the same level of audio and never misses a scene or piece of dialogue. There’s nothing worse than a random ray of sunlight causing a glare on a bright TV screen and ruining the picture. So, if you have windows in your media room or home theater, then ambient light-rejecting screens and projectors are your solution. By creating a higher contrast and reflecting the direct light that was hitting it, your TV screen or projector screen will maintain their brightness, and you’ll never notice that the outside light is on them. Now you won’t have to wait for the sun to move, or have to lower your motorized shades when you don’t want your indoor lighting to change while you watch your media. Instead of scrambling and searching for the remote, imagine being able to tell your TV and entertainment system what you’re ready to watch — and have it respond accordingly. 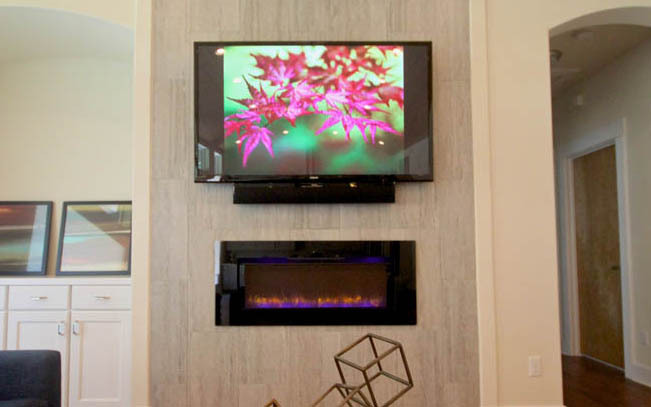 Voice control is a new smart technology trend for your media-viewing space. It makes it easy to browse through channels, look at film selections, adjust the volume, and manage the entire system. This feature will change how you use your TV and make it a breeze to find exactly what you’re searching for to watch. Want to learn more about upgrading your home entertainment system with the latest technologies of 2019? Feel free to give us a call or fill out our online contact form to schedule a no-obligation consultation with our team. We’d love to hear from you!